Golf is among the most popular games in the world, and has accumulated over a billion fans worldwide over the years. It’s a game that requires patience and endless practise, and is meant for those that don’t mind spending hours upon hours on the golf course. For those that have an interest in the sport and want to learn, there are a few ways to go about it. The first is hiring an expensive trainer to show you how to play, or, alternatively, you could research it yourself and give it a go. As far as research is concerned, there is a lot to know and understand about golf. Everything from the type of gear you need to the extensive terminology can make learning golf seem quite intimidating. Despite this, it can be done, and with the right tips, you can start playing the game at your earliest convenience. Golf Tee: This is the peg where the ball sits on the ground. This also refers to the starting area, where the game begins. The Green: This is the soft, green fields that are found across all courses, usually surrounding the hole. The Rough: The part of the course that is on either side of the playing area, often filled with forest or bushes. The Bunker: Ditches found around the course that are filled with sand. Hazard: These are the areas on the course that can cause problems when trying to sink a ball. Birdie: One stroke under par, also called a double eagle. It’s important to remember when purchasing gear that there is a distinct difference between the types of gear that is offered. Beginner gear is completely different to gear that an intermediate or professional player would use. This is why a new player will need to make sure that their new putter, for example, is designed for newer players, as the more advanced ones can be almost impossible to get right at first. 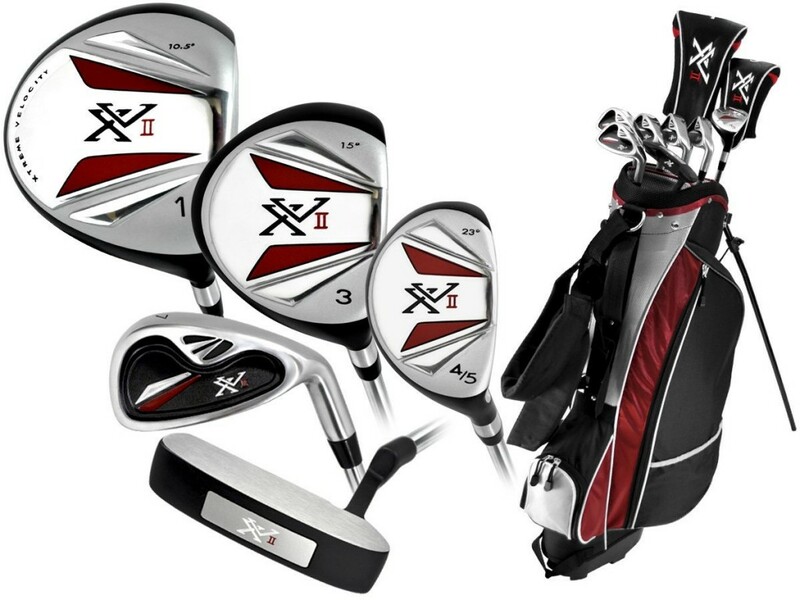 If you just want to give the game a try without investing too much, then renting gear from a golf club or even borrowing from a friend are advised, as a set of golf clubs can be extremely expensive. Before you start on the course, you will need to learn the game. One of the best ways to do this is by watching tournaments from start to finish. This can give you an idea of how a round of golf plays out, and when the various terms are put into play. Golf can be frustrating at first, as it takes plenty of practise to get the swing right. But before long, you can start enjoying it at a much more advanced level.